New luxury apartments are planned for the corner of Canberra Avenue and Dominion Circuit in Forrest. The 2273 square metre site contains three two-storey houses at 14 and 16 Dominion Circuit and 24 Canberra Avenue. The houses have been for sale for almost six months and the combined land parcel was passed in at auction in September last year. The National Capital Authority has opened public consultation on a development control plan for the site, which will establish the planning and urban design elements to guide the redevelopment. Canberra Avenue is designated as a main entry point into the city and as such the authority must approve development that occurs along it. Spacelab, which is acting on behalf of the project's proponent, lodged the request for the development control plan with the authority to enable it to proceed. It has been confirmed the site would be redeveloped into a six-storey luxury apartment complex. 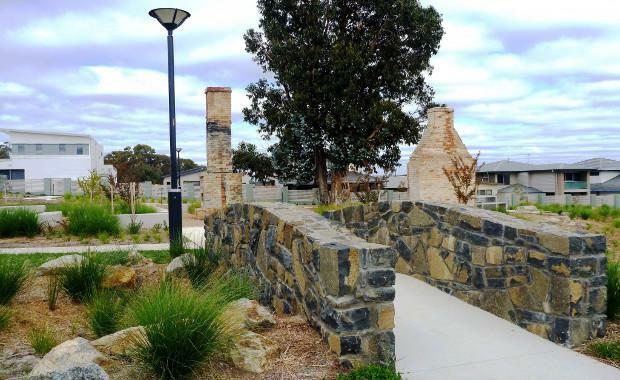 Spacelab Urban Strategic Planner Sarah Lapsley said the current zoning on the site under the ACT Territory Plan was RZ2 and the development control plan would allow for the height to be lifted for the project. "The firm hoped to lodge a development application with the ACT Planning and Land Authority in about three or four months, following the NCA approvals process," Ms Lapsley said. Under the development control plan any new projects on the site must meet high-quality architectural and building standards and satisfy requirements covering parking, landscaping, signage, lighting and setback. Forrest units had the second highest median price in the ACT last year with $680 000 and only marginally behind the number one suburb, Red Hill. Car parking for the development would not be permitted along Canberra Avenue and Dominion Circuit and should instead be provided in basement levels. The plan is open for public comment through the authority until March 5.